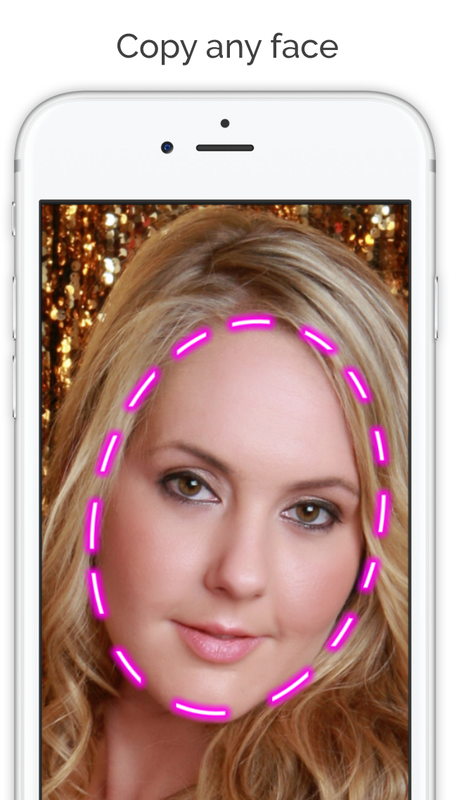 Copy Paste Face allows you to copy a face from any photo onto any other photo. 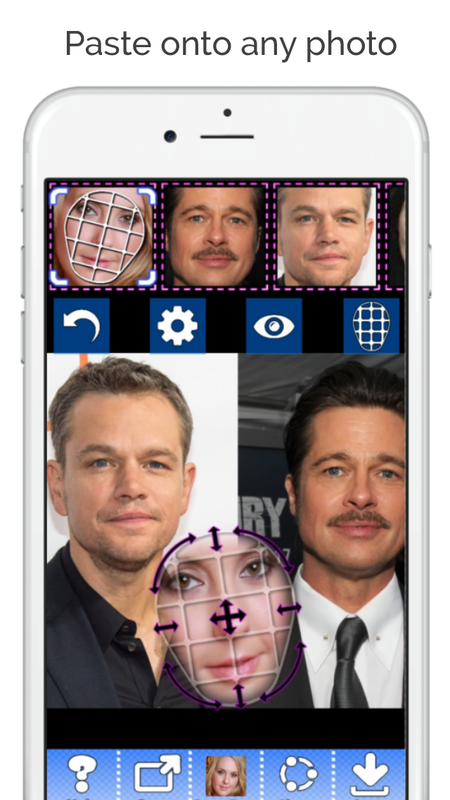 You can copy the whole face, or just copy parts of the face like the eyes or the nose. 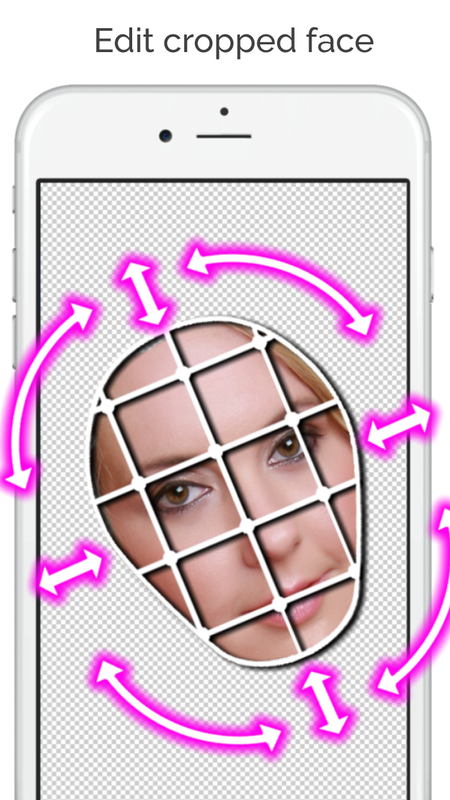 You can layer multiple faces on top of each other to create unique and interesting photos.